At Oakland, Calif.-based Kaiser Permanente, Medicaid patients, those dually eligible for Medicaid and Medicare, and children are targeted to take an assessment of their social health needs because they often have complex care requirements. They either fill it out on a tablet in the waiting room before their appointment or are asked the questions directly by caregivers. The results are filtered into the system's electronic-health record. The EHR then flags responses that need follow-up. For example, if patients said they struggle with food access, the care team will discuss the issue with those patients and connect them with local food banks. Kaiser spends significant time and resources on building relationships with local community organizations like food banks across its regions. The tool also helps Kaiser get a better sense of the communities where the system has a presence. 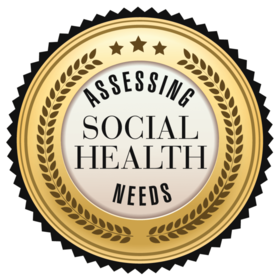 "With this assessment, we can understand the population more broadly—the needs of the population, both in terms of substance and geography, and then the adequacy and appropriateness of social services resources," said Matt Stiefel, senior director of Kaiser's Center for Population Health. "Most communities tend to be under-resourced in this area, and that can help guide our investment strategy in enhancing social services."